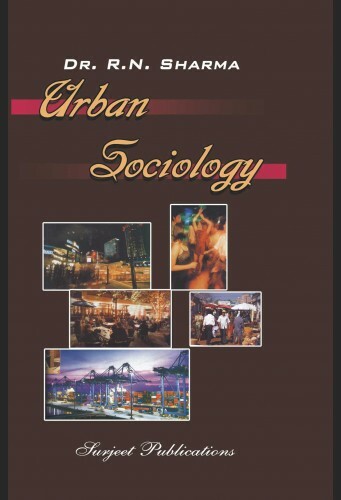 URBAN SOCIOLOGY This handy volume is an attempt to study the various aspects of Urban Society which deals, its scope, value, problems and solutions. It summarises studies of various cities in India. It reviews the fast Pace of urbanization in this country. It highlights the urban problem such as prostitution, beggary, suicide, crime, Juvenile delinquency, over-crowding and slums, pollution of various kinds and suggests remedies. Finally, it deals with planning and re-organization of cities. 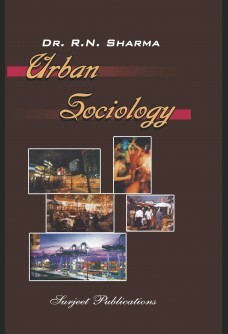 Urban Sociology is being studied in Indian Universities at graduate & post-graduate levels. The present book cover all the courses and syllabi. Matter has been drawn from most authentic and up-to-date sources. Thus, the reader is assured that by mastering this one book he will be able to achieve a first class knowledge of this subject. Dr. R.N. Sharma M.A.D.Phil. (Alld. ), D.Litt. (Meerut)Former Reader & Head, Dept. of P.G. Studies & Research, Meerut College. A Chief Editor: Research Journal of Philosophy & Social Science, Director Sri Aurobindo Research Institute. He has written quite a large number of books on Social Science Subjects, which have been well received all over. He is life member of Several academic bodies of National & International repute. He has attended & Participated in large number of academic Conferences & Seminars. He has directed & completed several research projects in Social Science mainly, Anthropology, Sociology, Philosophy & Psychology.